Get perspective on the defining characteristics of modern B2B buyers and explore effective social selling strategies you can use to engage them in 2015. It’s impossible to create one profile that describes every B2B buyer. Organizations’ needs vary greatly by industry, and buyers approach the decision-making process with unique priorities. 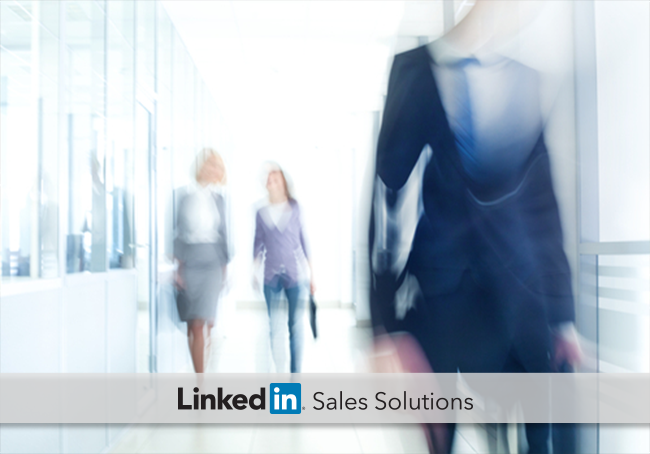 There are some characteristics, however, that describe most B2B buyers in the social selling era. Learn about five of these prominent qualities and discover how you can leverage your network to reach today’s buyers. Professionals are often too busy to meet in person, and phone calls are regarded as disruptive, not productive. Computers, tablets, and smartphones rule the day. Research bears that much of the B2B buying process has gone online. Specifically, it’s gone social. A 2014 IDC study revealed that three out of four B2B buyers and eight of ten executive buyers rely on social media to help make buying decisions. B2B professionals can find many vendors online, making it critical for brands to capture prospects’ attention early in the buying cycle. An effective way for sales professional to engage early-stage prospects is through warm-path outreach. Research shows 69% of B2B buyers are more likely to choose a vendor recommended to them so rely on your network to identify connections who can help you initiate relationships with second and third-degree connections. Today’s buyers complete roughly two-thirds of the buying process on their own, without input from sales professionals. You can still be influential early in the buying process, but it often requires being proactive. One strategy is to save contacts and organize them with tags. By saving contacts, you can monitor your LinkedIn feed daily for buying signals that can help you identify new sales opportunities. Given that B2B buyers can navigate most of the purchasing process on their own, there’s no need to engage in traditionally sales conversations. Rather, today’s B2B buyers are selectively choosing consultative partners who provide the most value during the buying journey. Sales pros must be ready to listen to buyers’ needs and provide individualized solutions that account for unique challenges and priorities. Leading your outreach with customer-centric insights shows you are serious about understanding the customer and providing value. More choices allow buyers to be choosier. They can dictate the terms of how they do business and who they do it with. That means you must effectively articulate your value proposition to win sales. Getting recognition as a thought leader requires a long-term commitment to providing your network with information of value. While casting yourself as a trusted authority takes time and effort, it can yield a big payoff: 90% of B2B buyers are more likely to engage with sales pros seen as thought leaders. As B2B buyers seize more control of the decision making process, successful sales professionals will be those who use a helpful, consultative approach that emphasizes value. How can you adapt your sales methodology to cater to new buyer trends?